Millions of people love Google services around the world. This is because Google has a reputation of being a great innovator with top quality products – and often having the most affordable choice. When it comes to cell phone carrier in the US, carriers are usually the opposite of Google: they’re not affordable (Verizon, AT&T) and often put profits in front of innovation. Because of this, many Americans have hoped that Google become a cell phone provider, bringing consumer-friendly competition to the cell phone providers industry. The search giant now have its feet in the cell phone network industry. Google on Wednesday announced its new mobile phone service, Project Fi. 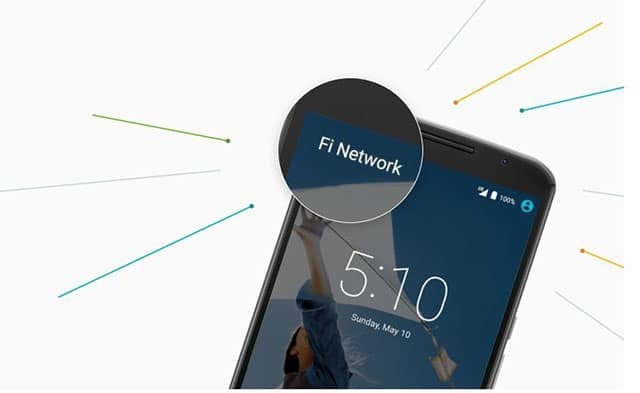 Google partnered up with Sprint and T-Mobile in order to use their already-established network infrastructure to prove service through Project Fi. Google will deliver data to your phone by using the Sprint or T-Mobile tower with the fastest 4G LTE speed. In addition to 4G LTE, Google will also deliver data to your phone by connecting you to free Wi-Fi hotspot networks with data encryption. When transitioning from WiFi to 4G LTE (or vise versa), Google says that you calls will not be dropped during the connection switch. Additionally, you will be able to use your number to make calls and text from your tablet or computer desktop. Project Fi basic plan start at $20/month. This basic plan will include unlimited national talk, text, low-cost international calls, WiFi tethering, international coverage in more than 120 countries. After that, each additional GB will cost you $10: $10 for 1GB ($30), $20 for 2GB ($40) and so on. The plan does not require any type of yearly contract. Just coming into the mobile industry, Google is already innovating. Google will refund you money for the data you did not use. If you pay $10 for 1GB and only use 500MB during the month, you’ll get a $5 refund from Google. The service is not yet available to the general public but you can request an invite to join the program early exclusively to Nexus 6 owners. You can request an invite from fi.google.com.